Swept makes shift planning easy! 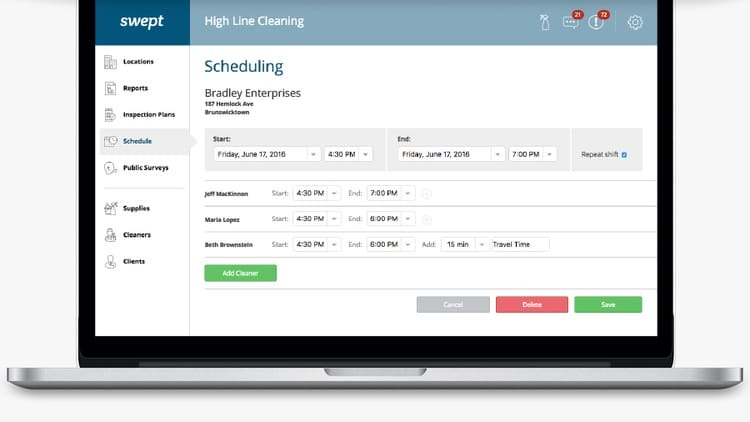 With Swept, schedule your cleaners more efficiently, increase profitability through reduced scheduling errors, and keep your team in the loop with better communication. Cleaners and managers are provided access to their schedule through the free mobile app available to all Swept customers. No limits on the number of cleaners or managers. Now everyone knows where and when to be onsite. As things change, your staff will be updated in real time. 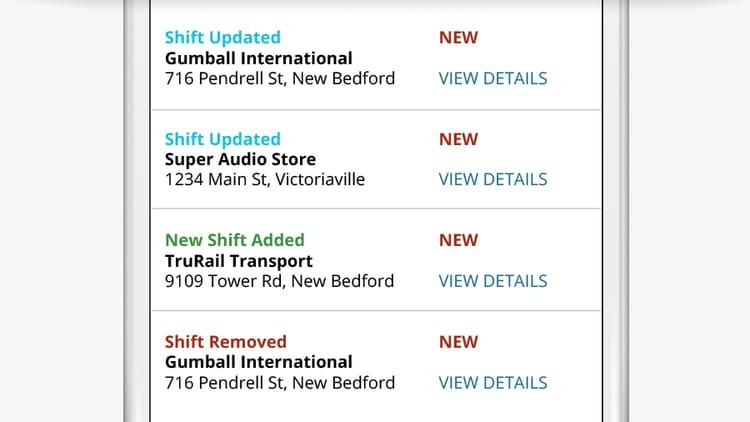 Newly assigned, updated or removed shifts will generate updates for your cleaners so you know you’re always on the same page. Need to know if staff are running late? 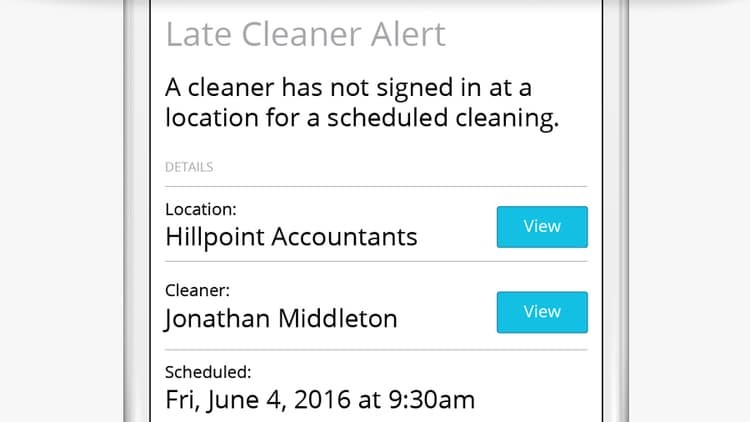 Swept will automatically notify you when cleaners have not signed in as expected. We’ll also send cleaners a reminder just in case they forgot. Swept is used by many companies just like yours to save time, improve communication, reduce costs, and organized the chaos. Watch our micro demo on Scheduling and Shift Management to see how Swept can help your business. 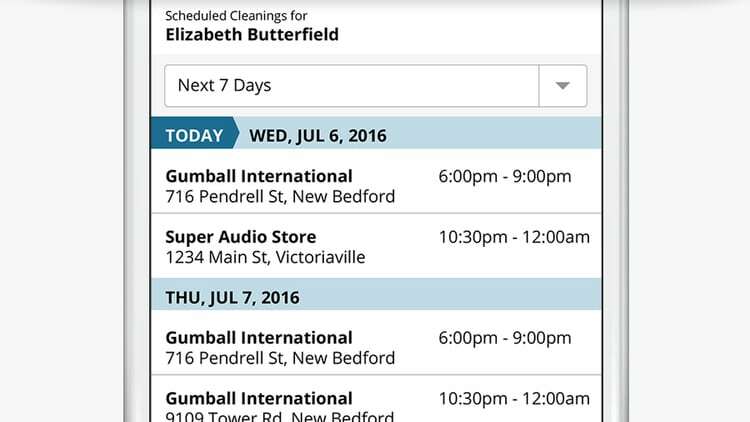 Looking for Cleaner Scheduling and Shift Management Software?